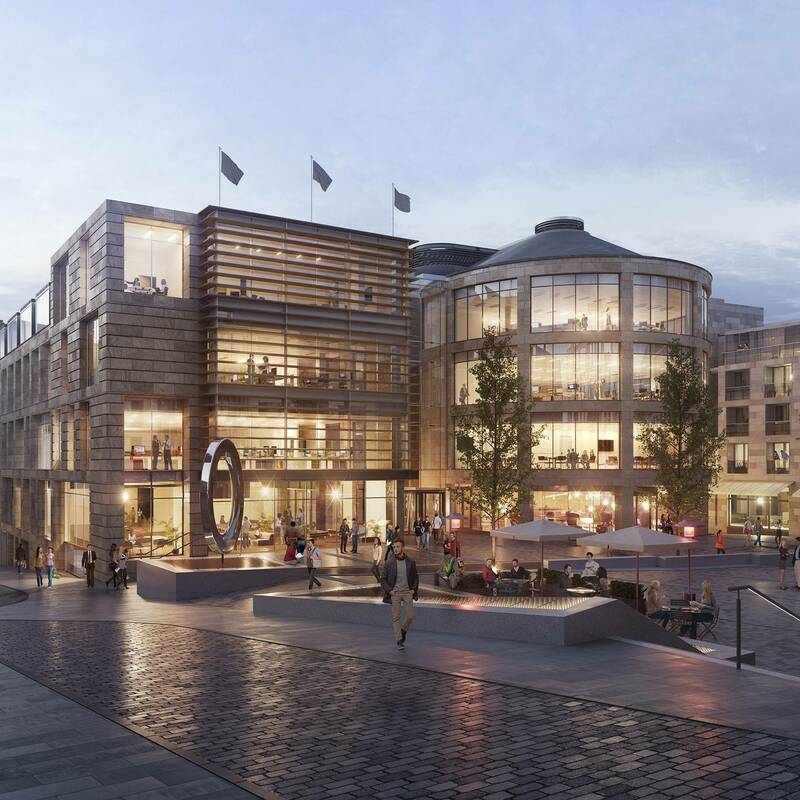 The UK government has announced that it has signed a 25 year lease at the Central Square development, Cardiff to create a new civil service ‘hub’. The news follows a similar announcement that a new lease had been signed for a hub in Edinburgh, as the government sets out to rationalise its estate and increase the number of civil service jobs outside London. The deal is part of the Government’s Hubs Programme which it claims ‘will transform the way the Civil Service works by accommodating several government departments in one building, across the country’. The programme plans to deliver over a billion pounds of savings, free up land for housing and reduce government buildings from 800 to around 200 by 2022. The UK Government has agreed to lease 265,000 sq ft in the Cardiff city-centre development, which will accommodate over 4,000 public servants from several different UK Government departments. HMRC will be the majority occupier and Central Square will become one of their regional centres. The office will be ready by 2020 for civil servants to occupy. Previously, the government had announced the location of a new hub at New Waverley, Edinburgh (pictured) which will involve moving 2,900 civil servant jobs into the city centre premises in 2020. The UK government will take approximately 190,000 square feet at New Waverley Edinburgh, with a lease commitment of at least 20 years. This hub will continue to strengthen the government’s commitment to building a strong Civil Service outside London. The new development, adjacent to Waverley Station, will deliver grade A offices to be occupied by civil servants from several UK Government departments. This includes HMRC who will operate one of its 13 regional centres from New Waverley. Over a quarter of employers are struggling to keep their workforce engaged Could a four-day week help improve UK productivity?